“Self Inflicted Heart Shaped Wounds” is #1 on Amazon! Thanks to everyone who has downloaded a FREE copy! “Self Inflicted Heart Shaped Wounds” is a great weekend read – Get yours today – I hope you enjoy! 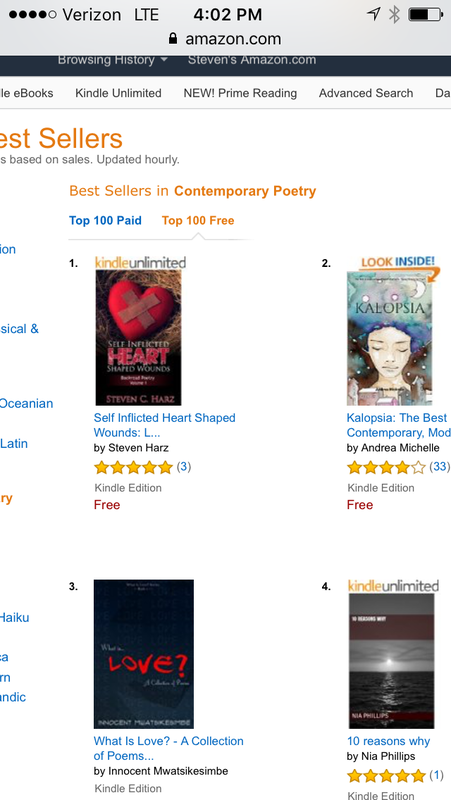 Next Post Top selling poetry ebook FREE for one more day!